Oh yah baby.... ROCK ON! Oh man.. last week, my son set his ipod Touch on the bathroom counter and it slid into the sink! And, thanks to his little sister, the sink was full of water! I seriously thought he's going to die without his iTouch! I think his life was in there! LOL. He spent some of his savings and bought another one... not the Touch, the plain black one with mega room. He's happy now. Thank goodness he has a job! Crisis over. Let's hope that is the biggest crisis of the summer! So... what do you get the teenager these days? iTunes.. right? I'm late for a birthday gift, so I doubled up on cards. One goes up top and one on the bottom. 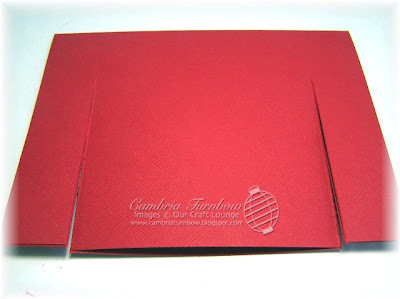 These gift card holders are perfect for the iTune cards and SO easy. You can see a tutorial here. I used double sided designer paper from American Crafts Teen line. 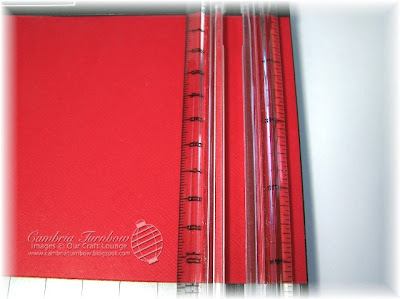 The stars are embossed so it adds touch-ability to the holder. I used the stamp set Star Rocks, and added Kaisercraft Rhinestones everywhere I could.. I LOVE those things. I think I'm addicted to them! The holder is held closed with polka dotted ribbon, held in place with one of the scallops on the front. Hope you are enjoying your summer! I cannot believe June is over. Have a great day, and thanks for stopping by! It's time again for the weekend sketch! Jenn is gone this week, and there was some shifting in the sketches, so it's me this weekend! The sketch is below. Okay... so sorry for the late post today! Summer if officially here, along with the go go go, busy, busy,busy... you got that going on in your house too? I was going for a vintage more mature look. Not sure that's what I got, but it is what it is right? 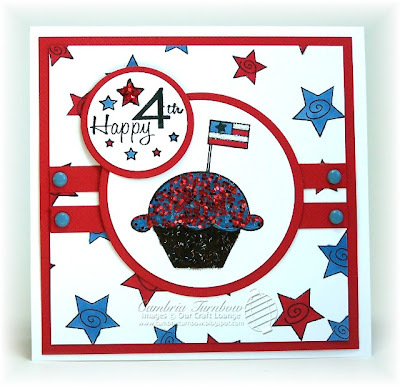 I used a combination of stamps from the sets Let Freedom Ring and Summer Sweets stamp sets. 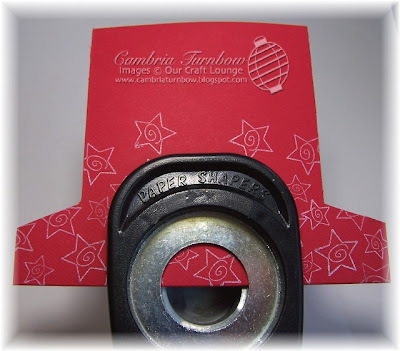 The star is a chipboard star from Stampin Up! covered with Rocket Red God Brilliance ink. I used Gold Metallic cardsock, Night of Navy and Bazzill Dotted Swiss. Check out the sketch team ... they will have awesome samples I'm sure of it! See you later this morning! Please leave me a link so I can check out what you've done! Have a super weekend! Okay... so, I was a little surprised by all the requests for the pattern, so I decided to show you real quick. 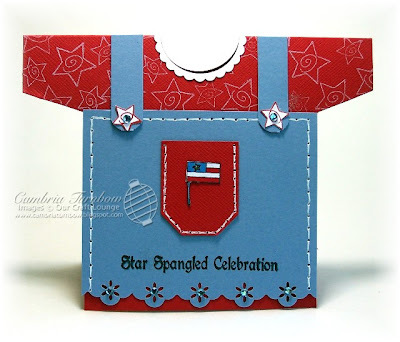 I don't like this card as much as the one in the previous post, but when I was throwing it together, I thought how cute would it be to have that Made in the USA stamp on the front? It could even be a baby announcement! 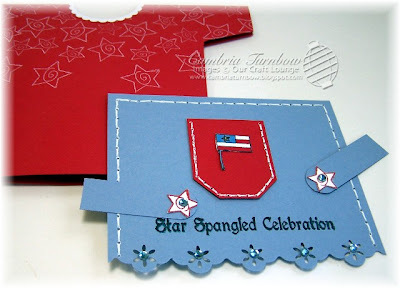 Look at at all the cute stamps from the set All about the USA that would work for this card? Fun huh? If I have time this week, I'm making more! 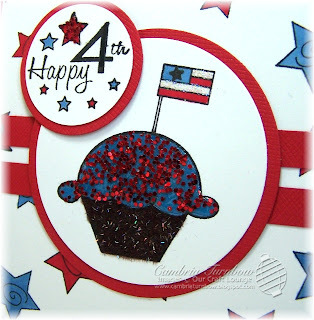 For this card, I used two stamp sets, Sweet Treats and Let Freedom Ring. I'm totally in love with Kaisercraft Rhinestones! Do you see them on the stars and on the flowers at the bottom of the card? I need more colors! Okay.... here's how to make this super easy card. I can't wait to see your version, so I hope you share with me! 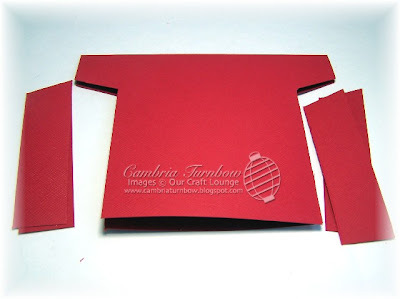 Cut your regular size A2 card stock whatever color you want the shirt to be. 5.5 x 8.5, scored at 4.25. 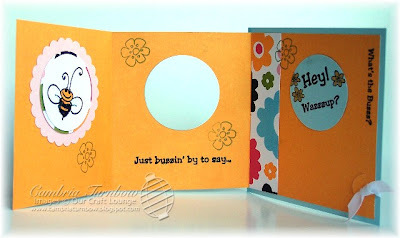 Open the arm of your Fiskars cutter and lay the open end of the card flush against the top. The side of your card should be flush with the edge of the cutter. Your scored end will be facing you. Push it all the way to the end (towards the bottom of your card, or the opening). Flip the card and repeat on the other end. Measure down one inch from the top score line, and make a small mark. Cut from that mark in to the cut you made on the sides to make your sleeves. 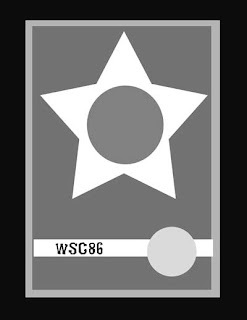 This is what your card should look like now. If you want the same color bib, you can save the side pieces for the straps. Take a circle punch and make your neckline. Tip: To make a scallop neckline, punch out another half circle on another piece of cardstock, then go right over the top and punch again, but use a scallop punch. That will give you a nice little piece to glue over the exact spot on your t-shirt neckline. Make your front bib pieces. The front piece will be three inches in length, but I cut at 3 1/4 if I use a border punch along the bottom. The width I just measure and cut... it seems to always be a tad different. Cut your overall straps at whatever width you want, by 1.5. 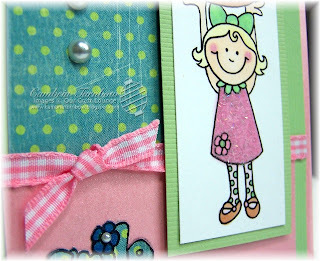 Decorate and then glue to the front of your card! See... I told you it was easy! I'd love to see what you make with my little pattern. Please stop back by and leave me a link. :) I hope to make some more this week. Thanks for stopping by! This little shirt design is one I came up with a few years ago. I haven't made one in ages, so I decided to play with some scraps on my desk. If you want the pattern, let me know and I'll email it to you. It's very easy... made from a standard size card. 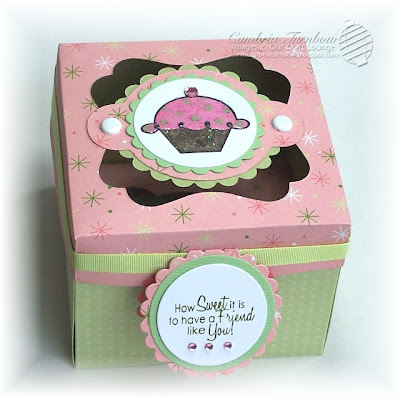 I used the background stamps called Whispy Patterns and the 4th sentiment is from the stamp set Summer Sweets. 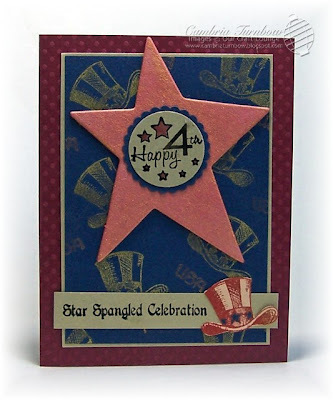 The stars are made with my Stampin'Up! punches. Here is another card using the set Summer Sweets. It's based on a card my friend Kisa made a few months back. I love her style! The cupcake has our Chunky Sparkles on the top, and Coffee Bean Sparkly Fluff on the bottom. I also used our Cosmo Crystal Sparkles on the flag. I always use my faithful Quickie Glue Pen to apply my Sparkles and Fluff. Brads are from American Crafts. I used my Circle Nesties to make the circles. Hope you had a great weekend! Thanks for stopping by! Good Afternoon Stampers! Happy Father's Day weekend to you all! We are celebrating Father's Day AGAIN. LOL. Yep... I could have swore Father's Day was LAST weekend. We got my husband a new grill, we got a nice steak dinner to BBQ, I even made a huge Father's Day breakfast. Averie made him the nicest card. Then, he went to work on Sunday, ran into some friends and said, "Enjoying Father's Day with your Dad today huh? His friend had his son with him. His friend said "Uh... it's not Father's Day until next weekend". My husband was like, "No way dude, I got a new BBQ, had a steak dinner, got a huge breakfast today...." "Look at the calendar... it's next weekend." He called me as soon as his friend took off.. I had no clue. I don't know which day it is.. seriously! LOL. Oh well, it's worth celebrating twice right? My husband isn't complaining. 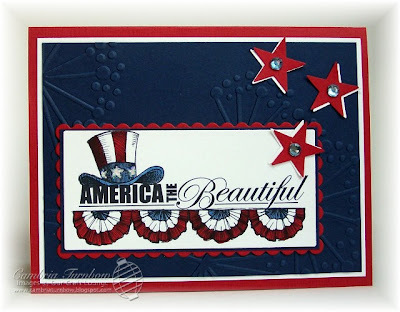 Last week, in our forums, the stamp set All About the USA was the Spotlight Set of the Week. 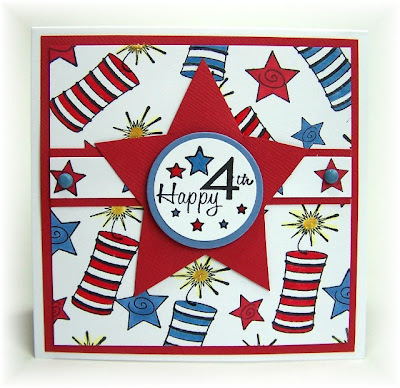 I combined that set, with Let Freedom Ring, to make a 4th of July card. I really like how it turned out. I used a Cuttlebug Folder which is really flowers, but looks like fireworks to me... I'm sorry, I don't know the name of the folder. 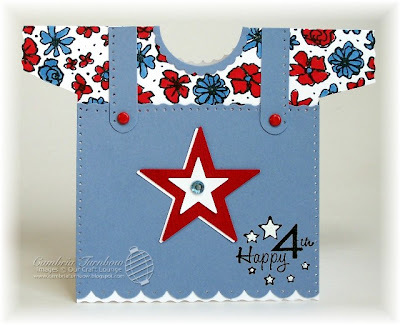 The stars are made with my Small Star Stampin'Up! punch, with Kaisercraft Blue Rhinestones in the centers. I used our Cosmo Crystal ultra fine Sparkles on the stars on the hat applied with my all time favorite Quickie Glue pen. I also added some sparkle to the banner with my Stardust Glitter Pen, which is hard to see in the photo, but adds extra shazam to the card. Hope you have a terrific weekend! Thanks for stopping by! Hey everyone! Lookin' for the weekend sketch? 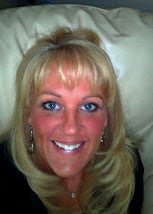 Head over to Sharon's Blog and you'll find it! Thanks Sharon! I'm addicted to Kona... is that possible? I think he's so dang cute! The stamp set is called Hangin' Loose with Kona, and he's available for a limited time and only from eP. The paper is the brand new stuff from My Mind's Eye called Breaking Free. Perfect Summer paper! The Polka Dotted paper is from Bazzill. Flowers are from Prima and the pearl in the center is from Kaisercraft. Zip Dry works perfectly for the flowers too! LOVE that glue! Hope you have a wonderful weekend! Thanks for stopping by! We'll be using Copic Markers and showing more fun coloring techniques with them. Here is the project we'll be making designed by Kisa! I'm so lucky to have her to come and help... she is DA BOMB! How cool is this card? I love it! There is Sparkly Fluff on the sparkles and Clear Sakura Glaze on the firecrackers. It really sparkles and shines IRL, just like the 4th of July should! If you are in the area, you can stop in to Memories of Time and sign up! We'd love to see you. We always have a blast. Hurry though, space is limited and it's filling up fast! Thanks for stopping by! Hope you have a great rest of the week! Good Morning peeps! I hope you all had a great weekend. I'm having a hard time adjusting to the kids being home and getting my work done! And the twins are off on a fishing trip with my parents! The sky is kinda funky on this one, but I was trying to get the same grungy look as the paper. You know what they say? Red sky at night sailor's delight, Red sky in the morning, sailor's take warning! I got out my Crafter's Tool kit and some hemp and threaded it through the paper after seeing a card my friend Nancy Morgan made for her brother in law. That girl is brilliant.... I love seeing the things she makes! 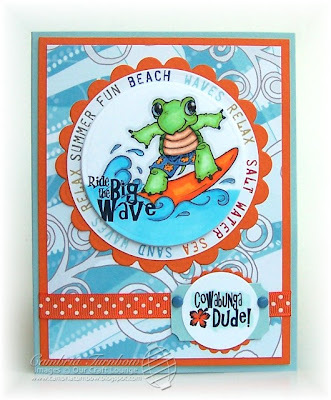 I used the stamp set called Coastal Wishes, along with the designer paper by My Mind's Eye called Cowabunga "Beach Bum" from the Breaking Free line. There is Real Juicy Orange Sparkly Fluff on the sun, applied with my all time favorite Quickie Glue Pen. I added some Glossy Accents over the water to make it really seem like the ocean. The brads are by American Crafts. 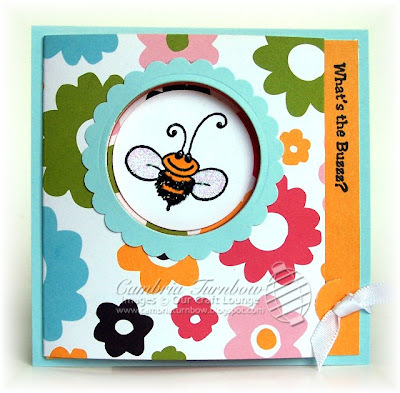 I got that cool frame by using my Labels Four Spellbinder Nestability die with my Cutttlebug. Hope you have a great week! Thanks for stopping by! Tomorrow I'll share the projects Kisa and I are doing for this month's class at Memories of Time, here in Coos Bay. Today is Taylor's birthday! Happy Birthday Taylor! In honor of our sweet friend, we are all doing the cupcake sketch for the weekend! If you want to play along, go visit Taylor to see the sketch. Don't forget to wish her a happy birthday while you are there! Hope your birthday is as sweet as you Taylor! Today, I'm celebrating my 21st wedding anniversary! It was really yesterday, but today, we get to go out and celebrate! So... I'm outta here... have a super weekend everyone!! Just a quick post today. One of my friends is celebrating a birthday on Friday, so I needed a quick birthday card. I got this cool brown textured paper from The Paper Temptress. It almost looks like bark, but feels like suede. It's very cool! I thought it would look great with this set from OCL called The Tribe. The blue and green cardstock behind the brown is from Prism. I used Neenah White for the main image. Of course it's all the little details that make this one fun. I used Appletini Sparkly Fluff on the grass and the feathers. atyou Spica Pens makes everything sparkle. AND I added Glossy Accents to the skulls (after I took the photo... sorry). 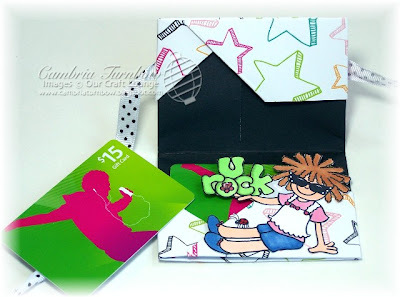 I used the Long Rectangle Nesties with my big shot for all the scalloped rectangles. 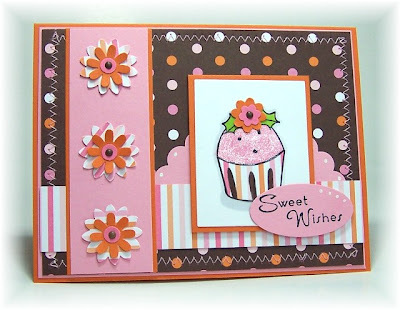 I added Soft Subtle brads from Stampin'Up! on the sides. 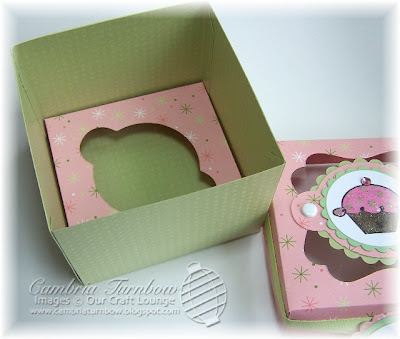 I used my Crafter's Tool Kit from Stampin'Up! to make the paper piercing across the bottom. Morning peeps! Happy Friday! Sorry about no weekend sketch today... I didn't get the sketch until this afternoon, after I posted this one, so I'll try and get that one done for tomorrow. Head over to Laurie's blog to see Weekend Sketch #84. 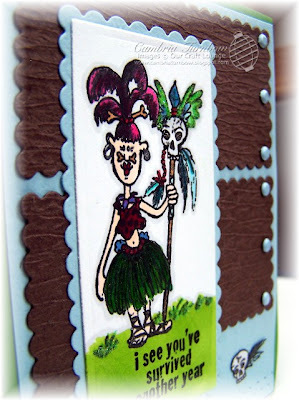 Today, I decided to stamp with sweet Anna Mae. She was being neglected... and she's one of my favorites. Sparkly Fluff is perfect on her dress... it's just the right about of SHAZAM! My favorite way to apply the Sparkly Fluff is with the Quickie Glue pen. Just use the pen and fill in the area, dump on the Sparkly Fluff, then tap off... it's dry in under a minute! Oh, and one more fun discovery! I found THE coolest paper on a site called Paper Temptress. This gorgeous, shiny pink paper is from her line. It's DREAMY! Nice and sturdy.. I used it for the strip across the bottom and the card base. It's called Mountain Rose Glimmer! Paper: My Mind's Eye, Neenah White, Bazzill Apple Green, Mountain Rose Glimmer ( Paper Temptress). Ink: Ranger Distress Soot Black, Copic Markers. Other: Kaiser Pearls, Quickie Glue Pen, Cotton Candy Sparkly Fluff, Sakura Glaze Pens, atyou Spica Pens, Gingham Ribbon, Jody's Foam Dots, Zip Dry Glue, Scor-Pal. I know, I know... it's eP's Kona AGAIN! I just can't help it.. he's SO much fun to color! If you want to read about the story of Kona, click here. I am really excited about this set and how it turned out. I think he's perfect for all kinds of summer creations. It's an eP exclusive, and he's only available for a limited time. Click here to see Hangin' Loose with Kona! I think besides the card with Joy's birthday cake on his head, this is my second favorite card. I have this awesome paper from Creative Imaginations with these fun circular words on it and it just so happened that the Cirlce Nesties fit inside them... so all I had to do was use one Nestie for the paper, and one for the Kona. He's raised up on Jody's Foam Dots, then the whole thing is layed on a Scallop Nestie. The blue swirly wave paper is the opposite side.... you have to just love double sided designer paper! Easy peasy. 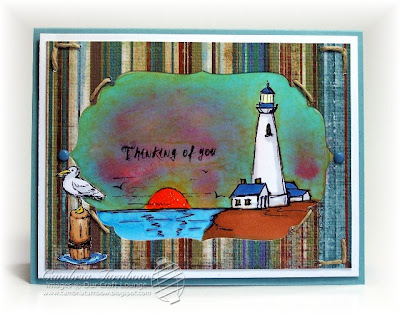 The sentiment is stamped on Neenah White, punched out with my SU! punch, then layered on the Designer Label Punch (also SU!). The orange scallop on the very back is a Marvy Scallop Punch. The two brads on the side are also from Creative Imaginations. Want to see more cute Kona creations? There is a whole gallery over at SCS. Just click here. Need a last minute teacher gift? Or... want to prepare to send a cute gift with your child before the summer zooms by? Well, it's me here, so of course it's last minute! I already showed you the little box of note cards, but I wanted a little something else to include. 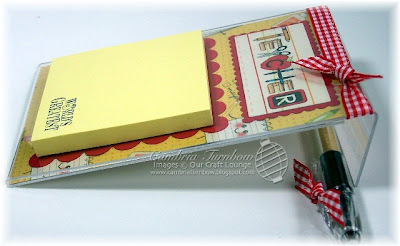 I remembered that I did these little Post It Note frames for the twin's teachers a few years back and they loved them. They are SO easy to make too. You can get these little 4x6 acrylic frames at the Dollar Tree or Walmart. 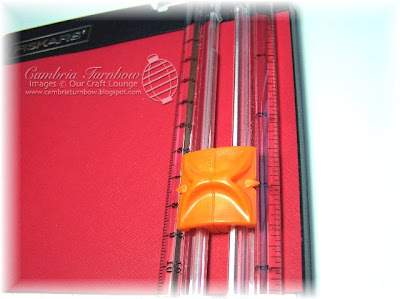 They are designed for photos, but if you lay them down, they make the perfect Post-it Note holders! Everything is under the acrylic frame so your artwork won't get messy. The only thing on the top is the Post-it Notes and the ribbon. Take a scratch piece of the designer paper, and roll it up and add it inside the Pentel RSVP pen and you have a matching pen! 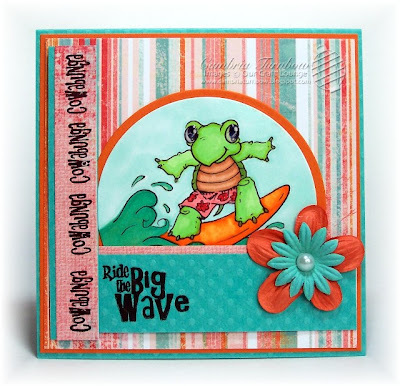 I'm using OCL's Spotlight of the week stamp set, called Bookworm. I'm also using more of the ADORABLE paper by Imaginisce called Teacher's Pet. LOVE this paper.. it's so nice and thick and double sided... and embossed! PERFECT for any project! I colored the image with Copic Markers and used the Square Nestabilities and the Long Rectangle Nestabilities. Easy peasy! My kids are out of school next Wednesday. I cannot believe a whole school year went by again... SO FAST. Next week is filled with activities and more field trips, so it will be another busy one! Now, I just need to make a cute bag or box to put these in... hmmmmm. More later! Good morning peeps! Today, I'm sharing with you the make and take we did over in Roseburg. Super fun and easy! We used the set called Just Bugz. This is my little tri-fold card. 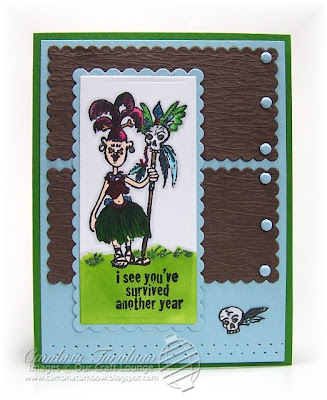 I designed it back in 2007 for Portland Stampin'Up! Regionals. You can see a tutorial here. 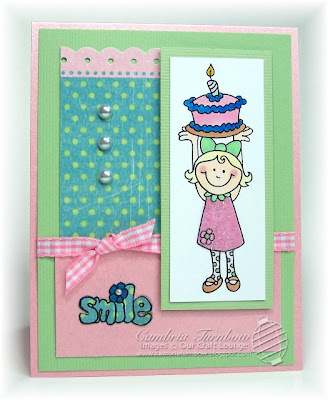 They are so fun to make... especially with all the cool double sided designer papers available today! The circle in the front of the card is made with the Circle Nestabilities. The scallop is a Marvy punch, then I used the same circle Nestie to get the perfect size hole in the center of the scallop. When you cut the designer paper, you need a piece 4 x 11, so I took that extra strip of paper and added it to the inside. We used the circle that was punched out of the center on the inside layered under the bee. Paper: Blue Bazzill, American Crafts (Everyday line) designer paper, Neenah White. Other: Cosmo Crystal Glitter, Black Eyeliner Sparkly Fluff, Quickie Glue Pen, Sakura Glaze Pen, Circle Nesties, Marvy Scallop Punch (Blue one), Big Shot, Slot Punch, Crop-a-dile, White Satin Ribbon, Scor-Pal, Zip Dry. Good morning friends! I simply cannot believe my kids only have a few more weeks of school. May just zipped by, and now the end of the school year is here too! I have been absolutely crazy busy... I know you can all relate. So, my little project today is fast and simple. 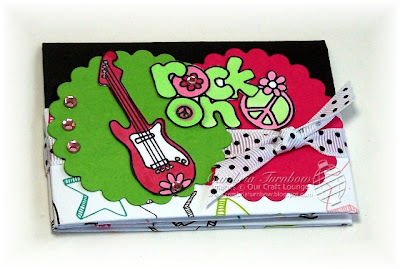 I fell in LOVE with the new Imaginisce desiger papers! Have you seen the Teacher's Pet line? I had to have it. When it arrived, I was even MORE excited. All the little images are embossed! They really stand out and shine. You just HAVE to touch it. You know when someone has to touch your project, you've succeeded! So, this made my work a ton easier. Our stamp set called Bookworm works PERFECT with the paper! Did you know that eP carries the entire OCL line? You gotta love one stop shopping! I was originally going to stamp on the front of the little SU! 3x3 note cards, but after I put the paper on, realized they didn't need anything on the front. I mean, how could I cover up that adorable paper? I fit 12 little cards and envelopes in the bag and I stamped Thanks on the inside of six. This way, she will have some thank you's and some plain cards for any little note she's like to write. The little bag is those boxes from the Dollar Tree in the wedding section. See... I told you I went easy! I just layered the designer paper with some Bazzill Maraschino cherry, and stuck it on with my all time favorite glue Zip Dry. I have more teachers to make thank you's for, so I'll be using this set a lot this week. Good thing it's the Spotlight of the week set for OCL. You'll be able to see many more quick easy, FUN samples of things you can make all week long by checking out the design team blogs.